FORMER LIVERPOOL WINGER John Barnes has been evicted from the Celebrity Big Brother house after a controversial stay on the Channel 5 television show. The 54-year-old was voted out by his fellow housemates and left the house through a backdoor eviction rather than on the usual Friday night live programme. However, the ex-England international made headlines on the outside world after some controversial remarks. Barnes was accused of homophobia following comments made during a conversation with fellow contestant Shane Jenek, who is better known as Australian drag queen Courtney Act. The comments caused uproar from fans on Twitter as well as gay rights groups, who said that the former footballer’s remarks were offensive. Jamaica-born John Barnes moved to London as a 12-year-old, and made his Football League debut at 17 after signing for Watford. He played 233 league games for the Hornets before moving to Liverpool in 1987 for £900,000. Barnes achieved his greatest on-field success while at Anfield, helping Liverpool to two league titles, the FA Cup and the League Cup. He spent 10 seasons with the Reds, playing 314 times in the top-flight as the First Division became the Premier League. Stints at Newcastle United and Charlton Athletic followed in the latter years of his career, before he turned to management. He teamed up with former Reds boss Kenny Dalglish at Celtic for his first managerial job, and later took charge of the Jamaica national team and Tranmere Rovers. Barnes also gained off-field fame during his time as an England international, providing the rap for New Order’s 1990 World Cup song ‘World in Motion,’ which topped the UK singles charts. He scored 11 times in 79 appearances for the Three Lions and played at the 1986 and 1990 World Cups as well as the 1988 European Championship. In 2006, he finished in the top five Liverpool players in a poll conducted by the club’s official website called ’100 Players Who Shook The Kop’. Email “Liverpool legend John Barnes receives support after accusations of homophobia”. 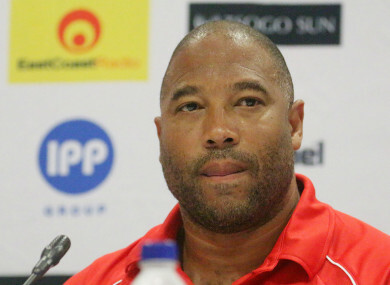 Feedback on “Liverpool legend John Barnes receives support after accusations of homophobia”.